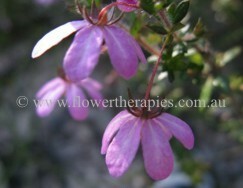 How can the Australian Bush Flower Essences be used in Aged Care? Earlier this year, I was the guest speaker at an annual Activity Officer’s Conference for a major aged-care group in NSW Australia. Recently, I got to thinking about the college courses I have run with the individual facilities within that group and my interactions with aged-care staff and thought it would be a good time to put together an article on how the Australian Bush Flower Essences can be used to assist our aging population, and importantly those people given the critical responsibility of supporting and caring for them. A study in 2010 commissioned by Alzheimer’s Australia predicted that Australia will face an aged-care crisis by 2050 given the huge demand for care facilities that we are currently experiencing. This is an urgent reminder that it is imperative for us to find new ways to reduce the numbers of aged citizens being placed into specialised care. Placing our focus on improving the health and quality of the lives of our elderly population can only be of immense benefit to this situation: ensuring that more people can continue to live independently for longer and taking the pressure off our aged-care system, by saving places for those people who simply cannot live alone. That same study goes on to predict that by the year 2050 there will be an approximate shortfall of 280,000 places required in aged care facilities: so it is justifiable that the study additionally reports that Australians who are getting older actually “worry more about dementia now than they do about stroke and heart disease.” Add to this a shortage of nurses working in aged care facilities due to the huge demands on workers and low rates of pay they receive, and it makes finding alternative solutions imperative. One of the potential complementary therapies that can assist the situation is the 20+ years strong Australian Bush Flower Essences range, which provides an easy and safe range of natural energy remedies to help maintain wellbeing. The Bush Essences can also work towards preventing many of the health ailments which eventually lead to the placement of our elderly in aged care facilities. They can be used to help capable elderly people gain and maintain the confidence to live alone, especially where a few modifications around the home, professional on-site assistance and of course the support of their loved ones, is all that is needed to prevent them from having to be admitted to full-time aged-care. Additionally, the Bush Essences offer support to our elderly who do find themselves with no choice but to live in an aged care facility and also to the nurses and other care staff who work to support our elderly: ensuring that our aging population experiences a better quality of life within their new community, and providing health care workers with the critical support they need in their own lives, to maintain their wellbeing within their crucial job. Dog Rose can help elderly people maintain their independence longer. One factor which can lead to the admission of elderly people into aged care is the fear that arises when they realise there are things they have difficulty doing alone or that potentially threaten their safety around the home. Many people also start to see themselves as a burden on their families, friends and neighbours, from whom they need increased support – even finding they sometimes need to move in with family in order to make living arrangements easier for everyone (and if you do find yourself in this situation as the carer of a parent, you might want to take a look at this helpful information from Aged Care Australia as well as the section below titled ‘Critical Support for Families Caring for their Elderly Loved Ones’). While there are so many aspects that need to be addressed and many practicalities which need to be overcome in order to successfully and safely live independently longer, the purpose of my article is really just to demonstrate how the use of Australian Bush Flower Essences can help with some of the emotions that will be experienced when faced with these situations. To assist with building and increasing the confidence of an elderly resident living at home, Dog Rose (pictured above) can be a helpful remedy to help diminish any fear of potential threats to safety that can be experienced, and can also help increase levels of self-confidence. If your parent experiences real phobias about living alone, then Grey Spider Flower can help them to face life head-on and know that they will cope with whatever they are faced with. If you are an elderly person who is doubtful that you will have the ability to live alone, perhaps trying the remedy Kapok Bush will help you to be willing to give it a try and set up the support system you need to manage the arrangement successfully. Black-Eyed Susan can help Aged-Care Workers manage stress-levels better. With numbers of staff limited and under stress in aged-care facilities, the pressure on our aged-care workers is increasing by the day. What we often neglect to remember is that the people responsible for caring for our parents and grandparents are also ‘real’ people – with their own lives and their own issues and problems! So if this is you, then you need support more than ever to help you enjoy a better quality of life, while you help care for other people’s elderly family members. Obviously with the pressure of such a demanding job comes high levels of stress, so the first Bush Essence that I usually recommend for aged-care workers is Black-Eyed Susan (pictured above) in order to reduce the impact that intense stress may be having on your health and immunity. Additionally, Macrocarpa is useful for dealing with intense levels of exhaustion, along with Alpine Mint Bush which helps carers to ensure they learn that their own needs are just as important to maintain, otherwise they risk being no longer capable of being in service to others. 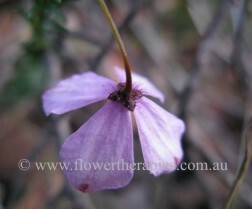 Another favourite Bush Essence that has quickly been adopted by most aged-care workers I have had the pleasure to teach, is Fringed Violet (pictured below), which helps you to protect your energy from being ‘drained’ by outside elements that potentially exhaust you, and can leave you feeling weary and irritable. 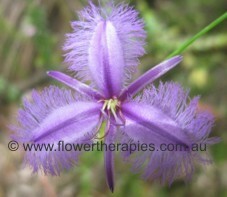 Fringed Violet helps you to protect your energy. Imagine if, after so many years of living in your own home, raising your own family, you suddenly find yourself ‘plucked’ from your familiar surroundings and placed into an aged care facility: with many new sights, sounds, smells, strange people and less personal space than ever before. You can hopefully imagine that the whole experience could be totally overwhelming and could even lead to depression and other mental ailments. For many elderly people, that is how they interpret their experience, and so it is an important aspect that the Bush Essences can help with. The Australian Bush Flower Essences combination, Transition Essence, while commonly used for people who are terminally ill, is also a wonderful remedy to help an elderly person (and their family) adjust to a new living situation. It includes the individual Bush Essence, Bottlebrush, which has the ability to help an elderly parent to let go of their previous life situation, in order to embrace new conditions and experiences. To help deal with the overwhelm of new sights and sounds that may be experienced by a new aged-care resident, the remedy Paw Paw is a good one to help absorb new experiences at a person’s own pace. And lastly the Bush Essence, Tall Yellow Top, is a wonderful choice for helping prevent feelings of isolation and eventual depression that can arise as the result of being the newest member of an aged-care facility or just feeling like you are different from all the other residents. What many people are not aware of (until they face the decision themselves) is what a difficult choice it can be to have to put an elderly loved one into permanent aged-care. Many considerations have to be made, such as which facility offers the right ‘fit’ for your parent, how the family will support and cope with the transition of the elderly loved one into permanent care and how they will continue to support their loved one while they are in aged-care. One of the many emotions that can arise when a decision such as placing a parent in care is faced, is guilt: even if the health of your loved one demands extensive 24-hour care. The Bush Essence that is most helpful when faced with feelings of guilt over decisions you have to make (or have made) is Sturt Desert Rose, since guilt is an unproductive emotion on its own. As one of my favourite inspirational speakers, Jack Canfield, has said about guilt: ‘you either change the behaviour or change your thoughts about the behaviour’. Guilt is just ‘sitting’ between these two options and not acting on its motivation to change something. Sturt Desert Rose can help you to make, and be comfortable with, decisions that are true to your needs, those of your elderly parent and indeed the rest of the family. Another combination which is very helpful for the family (as well as for the elderly loved one being entered into care, as I discussed above) is Transition Essence, which can help everyone involved in the situation to accept the changes more readily and be open to the new way of life that will arise for everyone. Australian Bush Flower Essences can help you deal with caring for your elderly parent or grandparent in the home. For some people, supporting their elderly parents or relatives within their home is an important family custom, or is simply the way they have chosen to help their loved one age. With this decision comes many different considerations and also many different issues that need to be dealt with, both for the surrounding family and also the parent or elderly relative needing care. 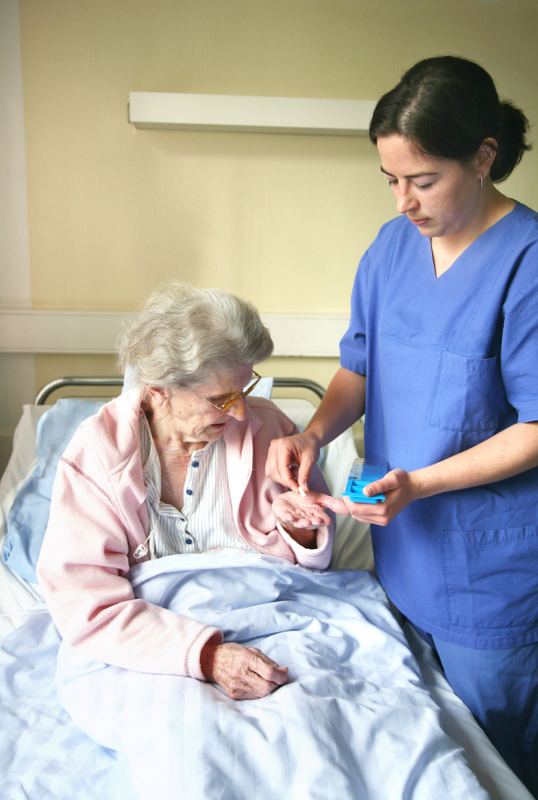 Whether engaging the services of a professional mobile health-care worker or simply aiding a parent yourself, the Bush Essences needed if you are the main carer (or entire family if it is a shared job) are similar to those needed by aged-care workers in professional facilities. One of the main Bush Essences that comes to mind is Alpine Mint Bush which helps you to remember your own needs, in addition to those of the parent requiring care. If you dedicate yourself entirely to the care of another, this Bush Essence helps you to deal with your own emotions so that you remember to take rest breaks when you need to (engaging someone professional or another family member to fill in for your role), to eat and sleep properly yourself and even to schedule regular ‘time-outs’ to ensure your own needs are being met and that you are at your best so you can care for your parent. You can see that there are so many different considerations in the area of aged-care: whether you are the member of a family with parents in aged-care, an aged-care worker yourself, a resident in aged-care or someone who would like to live independently longer, there is an Australian Bush Flower Essence that can help you deal with the emotions that will arise in all of the possible situations faced. They offer the possibility of dealing with aged-care placement situations from a more balanced viewpoint and enable you to make better decisions when faced with these life-changing possibilities. To learn more about the Australian Bush Flower Essences, consider registering for one of my Official College Course Weekend Workshops (which are useful for those working in aged-care or caring for their loved one in the home) or enrolling in the official international Correspondence Course, plus be sure to register for my free newsletter and follow me on Facebook and Twitter (and subscribe to this blog to receive email updates when new articles are added). Thanks Arron, glad you enjoyed the article! I have been clicking through your beautiful photo’s and was inspired by the short videos! It sent me off on a reverie of the lovely dialogue that is enabled through a barely moving image, and with this in mind, of a video I made several years ago of a flowering shrub in our backyard. Your videos transported me to the bush where I could see the flowers and the sunlight together. I was aware of your filming – your shadow; I could hear the greater sounds of the bush and the random intervals inbetween the sounds. From this a presence seeps into us and informs us. As to my video I filmed the shrub in the hurley burley of the surrounding city life. I had endeavoured to make a garden out of the yard at the back of our rented flat that was above a jewelry shop. The sun shone on the yellow flowers and the plant quivered every now and then in the breeze, or, it seemed, in response to the noises of family life and small businesses, buses and shouts. I was attached to this plant. We had potted it up and bought it to the city from our home in Wales. The film was a strange conversation between the plant and myself. I don’t know what the yellow Abutilon said, but I do know I encountered its ethereal talk. Afew years later and now I am studying the Australian Bush Flowers, whereas before I was writing a thesis and making art work. I am delighting in the way meaningful events of one discipline interact with another regardless of linear time or context! I also delight in a back garden! Thank you so much for your beautiful compliments and observations about my photos and videos – your story really shows the connection we have with nature and how it can bring one ‘fully’ to life and send you off in the direction of your life purpose! P.S. Back gardens are SO essential: they are not only our only refuge from the urban ‘jungle’ and a way to express ourselves naturally, but I feel they are also our tribute to our Mother Earth, as well as our way of giving something back to her! I look forward to hearing from you on future posts and hope you enjoy reading. Thanks for finally writing about Australian Bush Flower Essences & Aged Care ~ Loved it!